If winter is leaving you uninspired, you might try a book form this month’s list of Twitter Author titles. 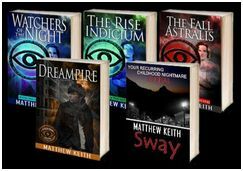 In addition to the inspirational book, there is Romance, Suspense, and Sci-fi. Maybe you’ll be the discoverer of a new literary talent? If you choose to read one of these books, please share your review here. If you cannot find the title at your favorite bookstore or on-line site, each authors’ Twitter name is listed below.